A huge announcement has just come down the wire from the Walt Disney Corporation, and Uncle Walt’s Insider has the exclusive on this story. One of the beloved live shows at Disney’s Hollywood Studios will be going through some major changes, and it involves bringing back a beloved Disney film, the critically-acclaimed Condorman! 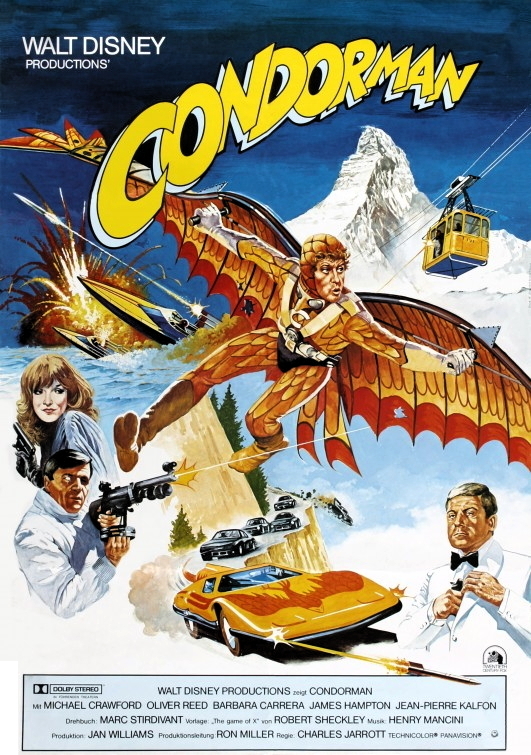 In 1981, Walt Disney Productions released the movie Condorman. Disney did not believe that much marketing was needed, as kids of all ages could identify with artist turned superhero Woodrow “Woody” Wilkins. In that same year, LucasFilm released Raiders of the Lost Ark, the first in a series of blockbuster movies featuring Indiana Jones. Raiders of the Lost Ark, directed by Steven Spielberg, starred Harrison Ford, who was enjoying success as Han Solo from Star Wars. For Condorman, Disney gambled on hiring well-known British actor Michael Crawford as the star of their movie. The gamble did not pay off, and moviegoers flocked to see Raiders instead of Condorman, despite Condorman being a superior movie in every aspect. While Raiders prospered, Condorman faded away — but with the rise of the internet and streaming video services, a new generation of fans have discovered the magic of Condorman and brought it out of the shadows. Thousands of fan websites, blogs, forums, and YouTube channels featuring their favorite artist-turned-hero, Condorman, can be found on the internet today. 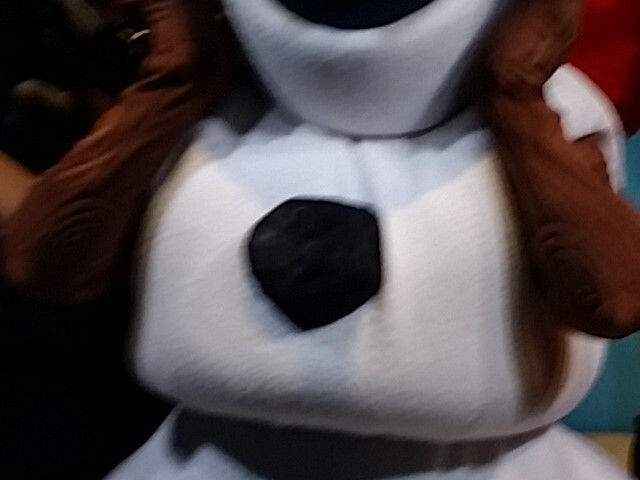 Disney has noticed, and they have responded in a big way. We can now confirm that a new live show based on Condorman will be replacing the Indiana Jones Stunt Spectacular at Disney’s Hollywood Studios. Uncle Walt’s Insider found Disney Imagineer Lindy Gore inside of a Starbucks enjoying a Pumpkin Spice Latte and catching up on social media. She agreed to talk to Uncle Walt’s Insider, as long as we didn’t identify her as a source. 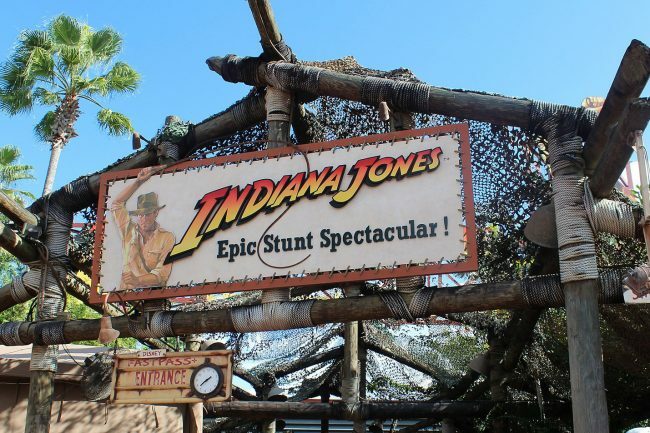 Indiana Jones Stunt Spectacular will continue to run through the 2017 holiday season. Its closing has not been officially announced, but will likely occur sometime in 2018, with the retooled Condorman show opening the following year.